Long ago, in distant Iran, a poor village girl with a gift for carpet-knotting suffered many setbacks on her journey to womanhood and self-fulfillment. Stories-within-the-story and richly colored glimpses of Isfahan society, both high and low, as well as much detail on the business of designing and creating carpets, swell the pages of Amirrezvani’s novel, a devoted tale of ill fate as portended by a passing comet. 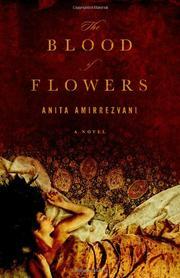 The nameless teenage heroine, a favored only child in a tiny community, suddenly loses her father and then her dowry, forcing her to relocate, along with her mother, to the city, to live under the protection of a relative, Gostaham, who works as a master in the Shah’s carpet-making workshop and permits his niece to watch and learn while he works, even though, as a female, she will never be able to take up a job alongside men. She catches the eye of Fereydoon, a wealthy horse-trader’s son, but being too lowly to become his formal wife, is forced instead to accept a sigheh—a secret, three-month, renewable contract with him. Fereydoon is an indifferent lover until she learns to please him, but then the situation darkens when he takes for his proper wife her closest friend. The headstrong heroine, devoid of love, friendship and true security, decides to end the sigheh, but her rashness results in her and her mother’s expulsion onto the streets. Hunger, illness and beggary follow, but the girl learns wisdom and responsibility, regains Gostaham’s favor, becomes carpet-maker (with her own all-female workshop) to the Shah’s harem and looks forward to finding another husband of her own choosing. A lavishly detailed debut, in which some of the simple values of a folktale are woven together with richer (and more modern) women-centered life lessons.